Lance Cpl. 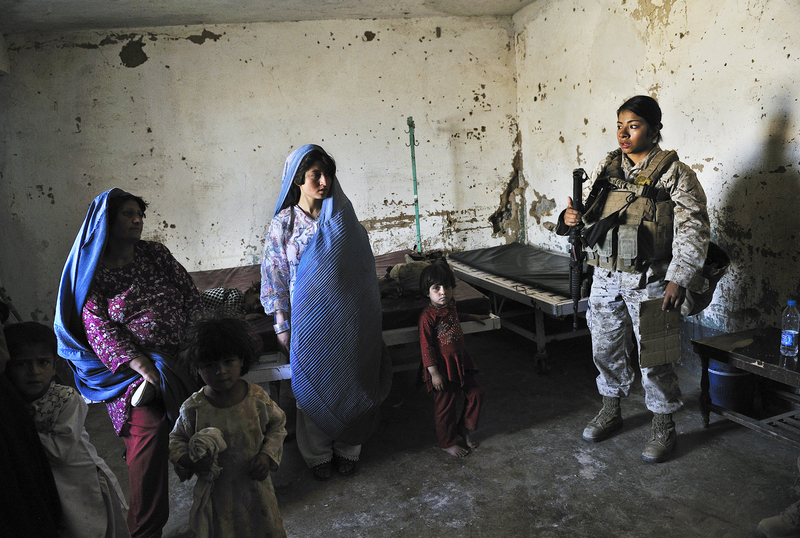 Elisabeth Reyes of the U.S. Marine Corps chats with Afghan women and their children at a clinic in Helmand Province, located in the south and considered one of the country's most dangerous areas. She is a member of the relatively new female engagement teams that accompany all-male foot patrols. These teams communicate with, and try to gain the trust of, Afghan women, who are not allowed to speak to men outside of their family in this conservative region. Reyes and other team members helped cordon off part of a clinic in the district of Now Zad to provide separate treatment areas for the sexes.